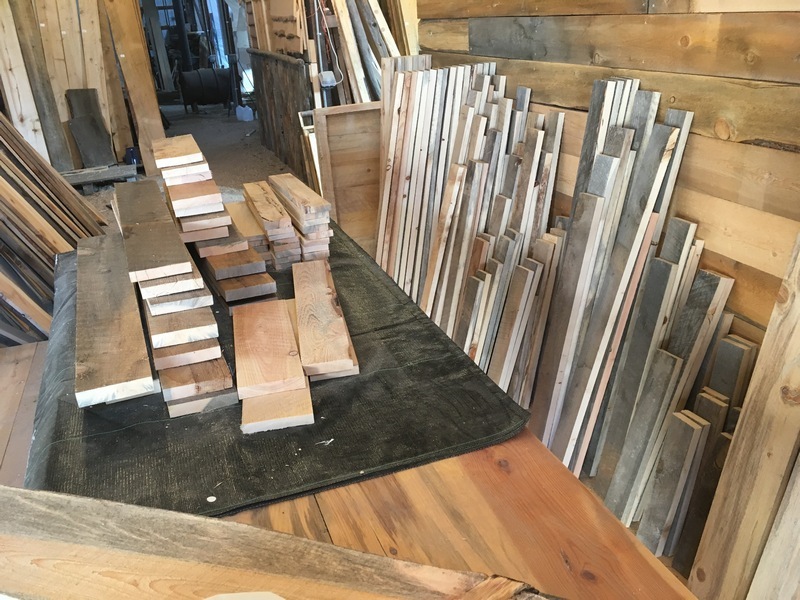 The Greenleaf Woods Showroom and Studio (at Black Forest, near Colorado Springs) now offers a large choice of Planks and Sets from native wood for your decorative wall or ceiling project. You can pick boards and layout design sets in the Studio. Or we can ship selected Plank Sets at additional cost. Planks = Individual boards . Sets = Selected boards to cover 10 or 20 square feet. Species include aspen (white), Englemann spruce (light tan) ponderosa pine (yellow-tan), fire-killed Black Forest pine (tan, blue, brown, reddish mix), white fir (tan), Douglas-fir (reddish and tan), and cottonwood (whitish). Our unique accent walls are custom-milled from these Colorado woods. See 5. 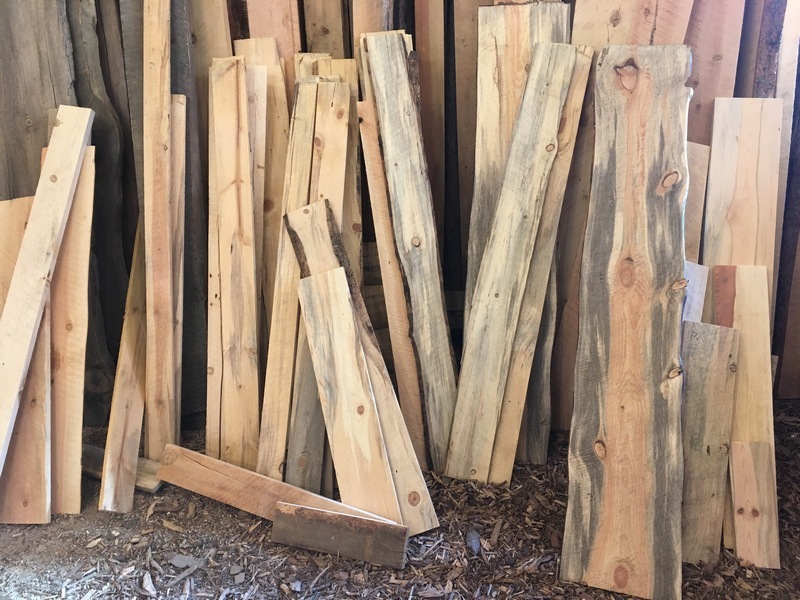 Color Choices for more about the Colorado native woods we offer. 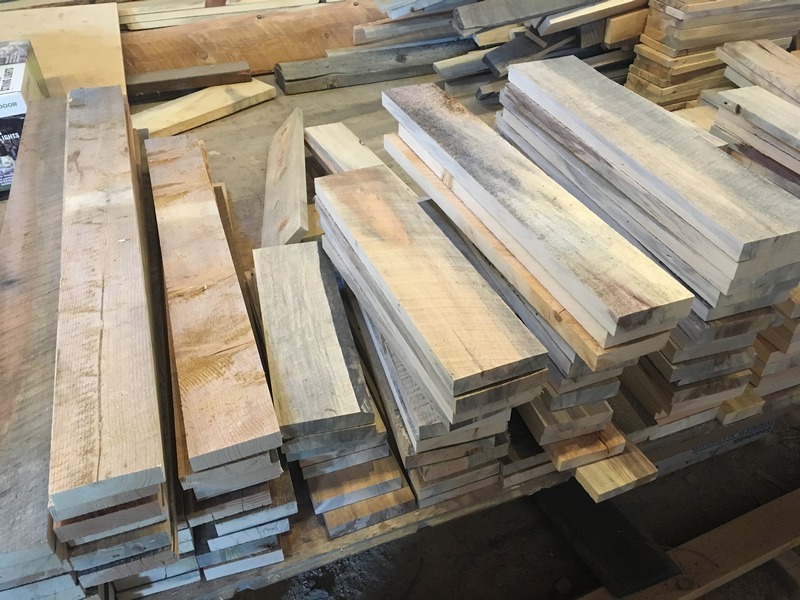 Rough-cut dimensional boards are available in many unprocessed common lumber sizes. In 1", 2" , 4" thick, and even for larger beams. For the DIY, longer planks and sizes for wall and ceilings may be lowest cost when purchased "in the rough." See descriptive pages under Lumber. We have large selections at Black Forest and Westcliffe. Some choices are at $2-$3 per sq ft.
PRICES vary from $6 - $12/ sq.ft. Prices and discounts vary for selected stock. See 4a. How to Order. Greenleaf builds custom designed walls, ready to install sets, and sized materials -- for DIY and Contractors. Or we can recommend installers. Each project is unique, please contact us for details. Prices are estimates and are subject to change without notice. Please call/ text Len Lankford at 719-429-4404 or Request a Quote .